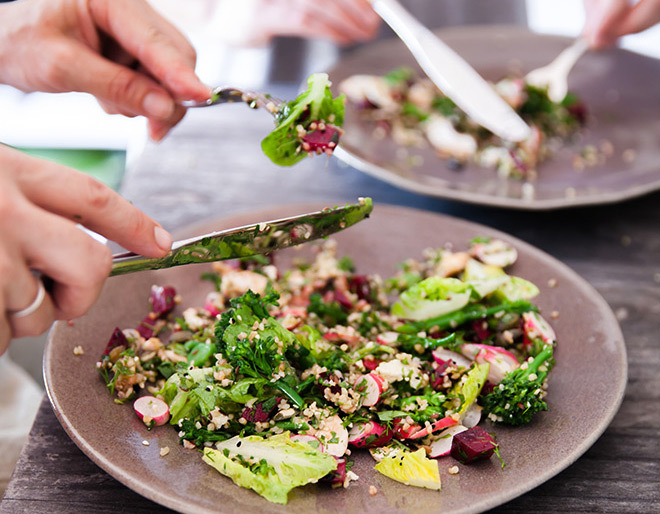 The new year brings new resolutions and many of us who spend our days in the office often resolve to eat better; to banish that pie and instead welcome the fresh and healthy salad. 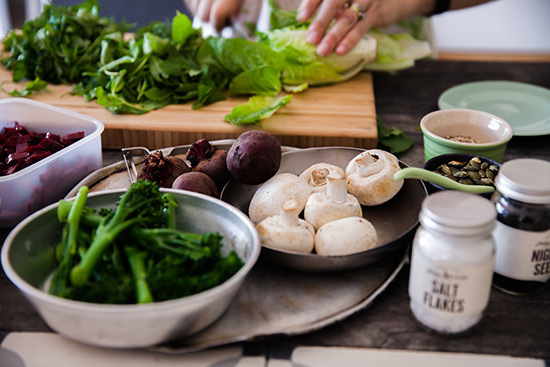 The trick to keeping such a resolution is a few simple recipes that you can stash up your sleeves, ready to prep on a Sunday night or, even better, a salad such as this which can be thrown together at work – all you need is the right shopping list, some handy lunchbox containers and a few minutes of prep. 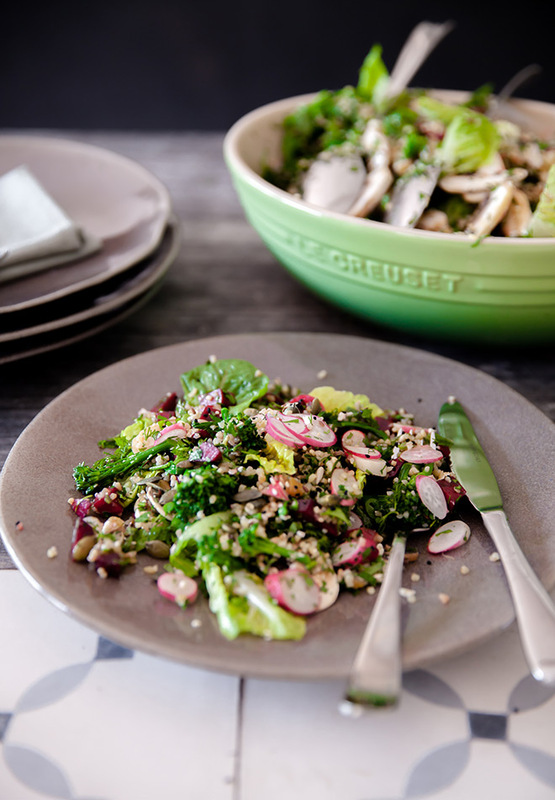 This healthy bulgur wheat salad is minty, fresh, crunchy and makes for a perfect lunchbox or an effortless salad to enjoy with friends. 1. Tip the bulgur wheat into a bowl, sprinkle with salt. Boil the kettle and pour 1 cup/250 ml over the bulgur wheat. Cover the bulgur bowl and allow to soak for 10 minutes. Drain any excess water and allow to cool. 2. Meanwhile, blanch the tender-stem broccoli in boiling water, uncovered, for 5–7 minutes. Drain and rinse under cold water. 3. Toast the seeds in a small frying pan until they start to crackle. 4. 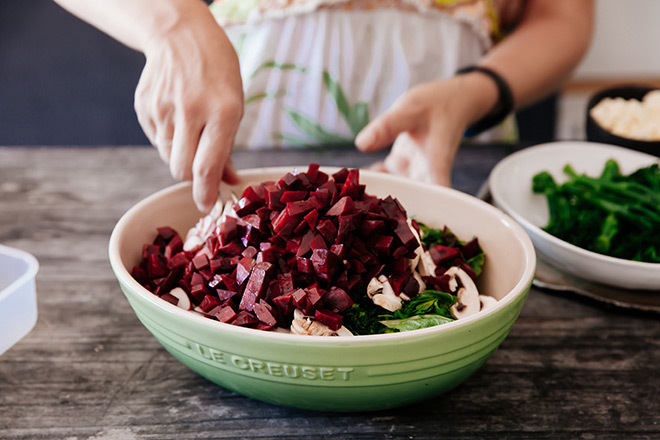 Dice the beetroot, slice the celery and thinly slice the radish. Chop the herbs. 5. For the dressing, whisk the oil with the lemon juice and garlic. Season and set aside. 6. If serving immediately, fluff the bulgur and tip into a large bowl. Stir in the broccoli, beets, radish, celery, lettuce and avo. Crumble over the feta and swirl in the herbs. Pour over the dressing, sprinkle with seeds and enjoy. Prepare the bulgur wheat in step 1 and chill in a container. 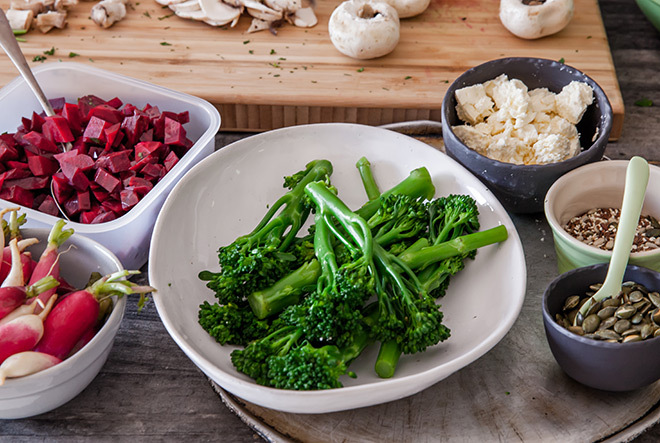 Prepare steps 2–5 but keep each (the broccoli, seeds, chopped veg and herbs and dressing) separately. Veggies in a container; dressing in a jar; seeds in a little jar. Whip it all together the night before or take elements to mix and match together at work. 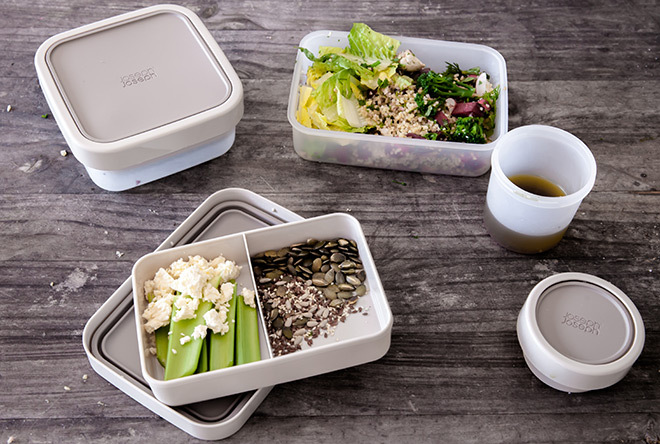 If you are keen for more lunchbox ideas, sign up to our newsletter or why not ask our forum for their inspiration?